Since Netflix's priorities are shifting more to the production of original content, piracy is also turning into a more serious problem. The company wasn't very concerned about copyright infringement in the past, but today it has its own "Global Copyright Protection Group" and an anti-piracy focus that's on par with many major Hollywood studios. A few years ago Netflix had a pretty casual stance when it came to online piracy. At the time, Netflix CEO Reed Hastings said that they were keeping an eye on the phenomenon, stressing that it’s not exclusively a bad thing. It also creates demand, he argued. “Certainly there’s some torrenting that goes on, and that’s true around the world, but some of that just creates the demand,” Hastings said. Netflix openly admitted to using torrent download data as a market signal, buying shows that are popular among pirates in a certain region. The best way to beat piracy is to provide good options, the mantra was. While it’s still an important issue, Netflix as a company has a different role now. With an increasing number of original shows, it’s becoming a significant content producer, instead of ‘just’ a distribution platform. Interestingly, this also shows in Netflix’s approach to piracy. The casual stance has long gone, and today Netflix is operating on par with the major Hollywood studios when it comes to copyright enforcement efforts. Last year we reported that the company had begun sending DMCA takedown notices on a large scale, but its actions don’t stop there. While Netflix doesn’t boast about its anti-piracy efforts in public, a recent job listing for a Global Copyright Protection Counsel is quite a revelation. The counsel in question will support Netflix’s “Global Copyright Protection Group,” a department the streaming service hasn’t mentioned in public thus far. One of the key focuses of the job is to minimize online piracy, through an advanced strategy. The responsibilities that come with the job are very broad, touching on pretty much every piracy angle utilized by Hollywood studios in recent years. Ranging from leak-prevention to automated takedown efforts, Netflix has it covered. The prospective employee will assist in “enforcement activities” and conduct “piracy trends analysis” while keeping an eye on the overall piracy ecosystem, including third-party platforms such as search engines, social media, advertisers, payment processors, domain name registrars. In addition to traditional pirate sites, the anti-piracy efforts also focus on streaming devices, including fully-loaded Kodi boxes, and anonymizer tools such as VPNs and proxies. “Consider solutions to deal with new piracy models and ways to consume pirate content online, such as illicit streaming devices and the use of TV add on apps. Monitor use of circumvention and anonymizer tools in the online pirate world,” the job application reads. The application further mentions a review of “piracy demand” and “piracy messaging projects,” suggesting a concrete outreach to consumers. 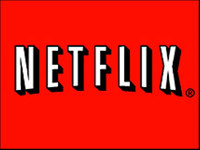 In addition, Netflix will directly reach out to pirate sites and other intermediaries. Overall the job application paints a picture of a rather mature and complete anti-piracy program and strategy. Now that copyrights are becoming a more vital asset for Netflix, it’s likely to become even more advanced as time progresses. That’s quite a leap from the casual stance a few years ago. Apparently, Netflix now believes that solving piracy isn’t just as simple as making content available. They also want a ‘stick’ with their carrot.